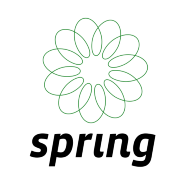 The official blog of Spring Technologies, where we share our thoughts on product, technology and user experience. Ideation: When to decide if an idea is worth your investment? So every now and then an idea for an app for a business or initiative comes to mind, how do you decide if it’s worth spending your time, effort and cash on? Your startup’s first product: What to build & who to build it with ? This has always been a pain new startups founders face; to decide to hire their own teams or outsource and if to outsource, the question becomes to whom? A freelancer or a company?